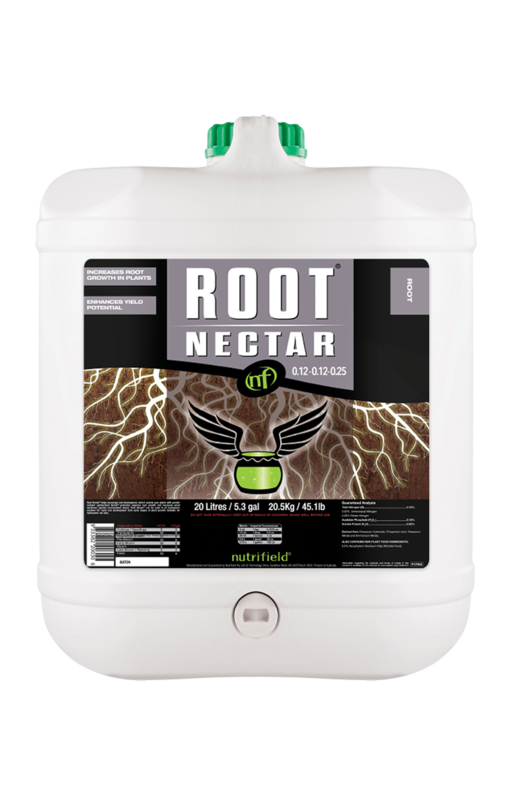 Root Nectar is a specially formulated blend of biostimulants, organic and inorganic nitrogen (N), and phosphorous (P) sources, which promotes all aspects of root growth. The combination of phosphorous and nitrogen supplementation increases primary and lateral root growth, respectively. The biostimulants also promote root branching and fine root growth. The larger root system absorbs more nutrients, resulting in more vigorous and robust plant growth. Nutrifield Root Nectar stimulates the formation of new roots and root branching in seedlings and cuttings. Increased root size in developing plants facilitates increased nutrient uptake, which is critical for young plants to establish vigorously. Root Nectar gives young plants a valuable head-start in the growth cycle, ensuring later stages are supported by a large, healthy rootstock. 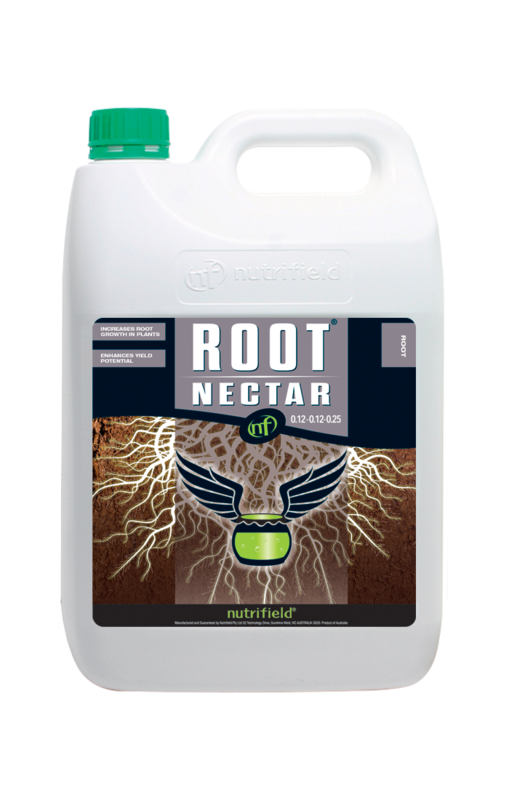 Nutrifield Root Nectar also boosts the development of supportive roots and fine roots in mature plants. The larger root surface area improves nutrient uptake, with increased root establishment facilitating more vigorous plant growth. A healthy rootstock is critical for supporting plant growth during both the vegetative and flowering growth cycles.